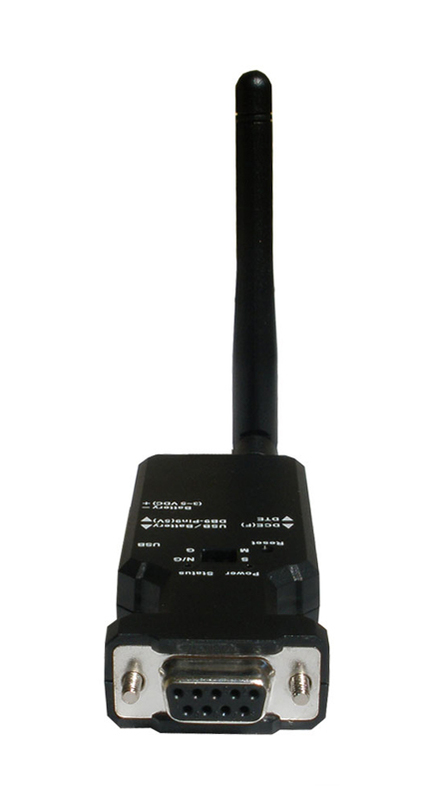 This industrial grade serial Bluetooth adapter is similar to our standard serial Bluetooth adapter, the main difference is that this adapter has an external di-pole antenna which makes communication more reliable on longer distances. Communicating serial data over Bluetooth is one of the easiest and most cost effective ways of wireless serial communication. 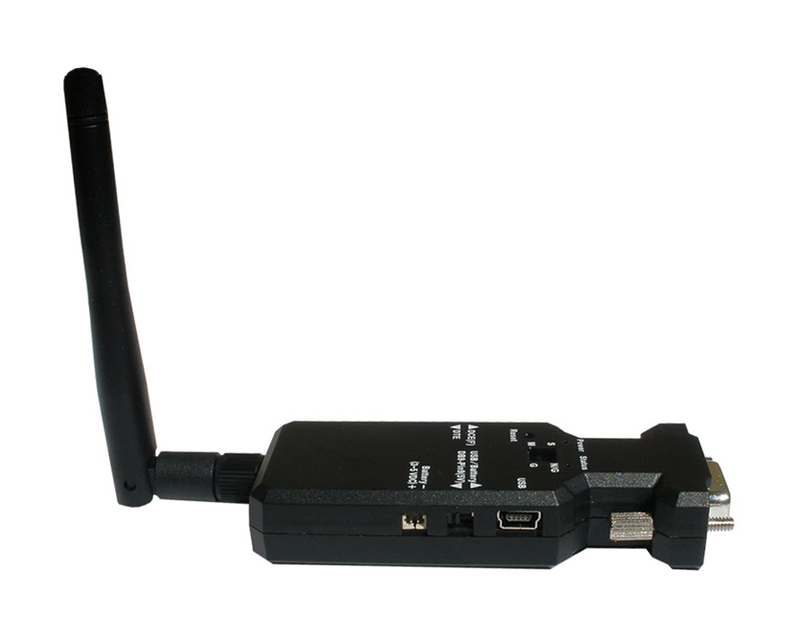 It allows you to setup a wireless serial connection between a wide variety devices such as most Bluetooth enabled devices, computers, serial devices, barcode readers, scales, industrial instruments, CNC machines,. PLC's and much more. 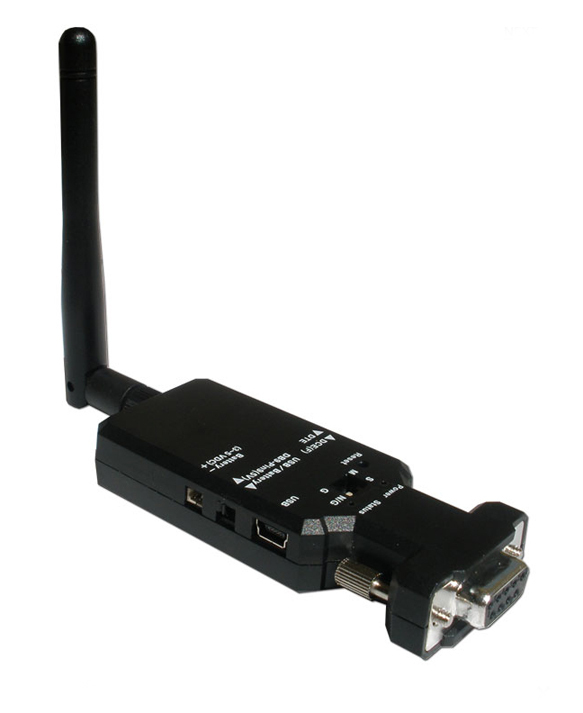 The only requirement is that the Bluetooth device you connect to supports SSP (Serial Port Profile). To find out how you can setup the serial Bluetooth adapters see our setup examples for the serial Bluetooth adapter. Our serial Bluetooth adapters supports Windows Vista, 7, 8 and 10 built-in drivers so no additional driers needs to be installed. For older operating systems we recommend a 3rd party Bluetooth management software to setup the connection. This software is available in our download section. 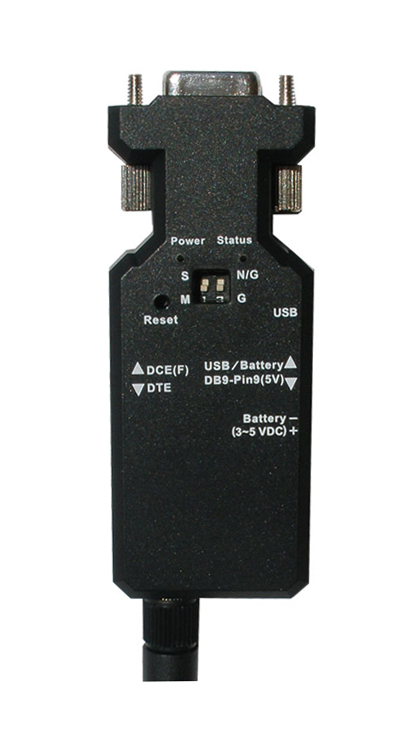 The adapter can be powered through a standard mini USB cable which is included with each adapter, however it can also be powered either by a battery or through the serial side of the DB9 connector. We also offer a mini USB power supply which makes it easy to power the adapter if you have a 110V outlet nearby. 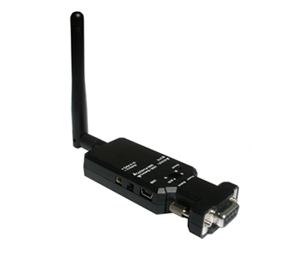 This serial Bluetooth adapter has many parameters which can be configured either through the serial RS232 port or over Bluetooth, by the use of a terminal program such as TeraTerm or similar. If your computer does not have built-in Bluetooth we recommend using this external USB Bluetooth dongle. Operating system Windows 10, Windows 8, Windows 7, Vista, XP, 2000, 98, Linux, Mac.